Somewhat Off the Wall attendees Josh Mamis and Julie Fraenkel with their new Roxanne Faber-Savage monoprint in 2012. Photo by Amanda May Aruani. Art enthusiasts know that purchasing a unique piece of artwork comes with a major cost. Unless you're Peter M. Brant, Richard Brown Baker, or even Jay-Z, the chances of you leaving a gallery with a gargantuan new piece for your apartment living room are slim. The truth is that for the average person, visiting a local art show or museum means just admiring the artist's passion, celebrating their creative growth, and maybe searching for some inspiration for your own artistic or personal endeavors. As an art lover and inspiring curator, I can strongly say that certain pieces do indeed speak to me and my life, but never loud enough to spend the big bucks. When my partner and I did purchase our first piece of artwork it was a great feeling. Luckily for us, it was not that expensive and the artist was so thrilled to sell a piece that he gave us a larger version of his ink drawing at no extra cost. The piece is now a focal point in our dining room and we enjoy sharing the story about our decision to buy the artwork with friends that admire its beauty. I assume these are the types of conversations that big collectors enjoy having. Whether it is an Umberto Boccioni Futurism piece or something by a local artist, owning a unique piece of artwork is worthwhile. In a way, you become part of the artist's story. If starting an art collection is something you desire you should pay close attention to the local artists in your community. Chances are there are some great finds that could easy stand next to some of the big names in art history. Here in New Haven, Connecticut, home of Yale University, young collectors are turning to The Arts Council of Greater New Haven to build their collections. For the past 21 years their annual Somewhat Off the Wall event allowed attendees to take a piece of artwork off the wall and into their homes at the end of the night. This special gathering invites well known regional artists to share new pieces in the lobby of a New Haven luxury apartment building located and named 360 State Street. Once at Somewhat Off the Wall visitors browse over 100 pieces of work ranging from paintings and photography to pottery, jewelry and more. Each contributing artist attends the event which allows for guests to learn more about the artwork while enjoying wine and hors d'oeuvres. When the clock strikes 7pm all of the premium ticket holders anxiously wait for their chance to select the piece they have been admiring closely all night. The only challenge is hoping your ticket number is called first. Either way, you get to leave with a conversation starter piece. 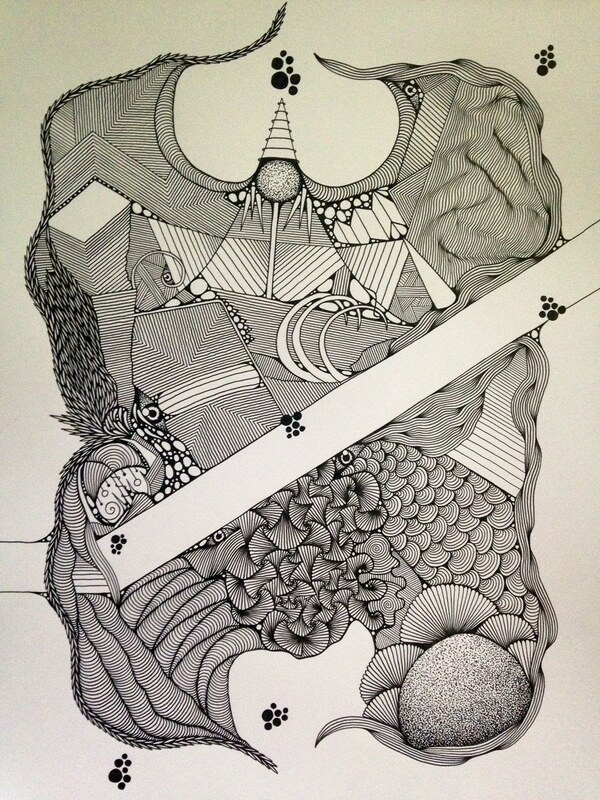 Artwork by Daniel Eugene will be featured at the 2014 Somewhat Off the Wall event. The event will feature hardworking creative types like photographer Michael Elsden who has exhibited his work in big art cities like San Francisco and Brooklyn. Brazilian artist Letícia Galizzi, who will soon curate her first show in New York called, Eat the fruit, not its name will also showcase work. In addition, local favorites like Daniel Eugene and Yale School of Art graduate Beth Lovell will present their signature work alongside the other 50+ artists. This celebration of art and collecting will return on September 20 and benefit the Arts Council. The purchase of your ticket will help them to continue to promote, advocate and foster opportunities for artists, arts organizations and audiences in Greater New Haven as stated in their mission statement. If you ever feel that collecting art is something only rich people can enjoy -- think again. Organizations like the Arts Council of Greater New Haven are in nearly every city helping artists and art enthusiasts find their place in the arts community. Discover what art events are happening in your town and find your conversation piece. To learn more about Somewhat Off the Wall visit the Arts Council's site here.